"Hue Airport" redirects here. For the airport in Ethiopia with IATA code HUE, see Humera Airport. Phu Bai International Airport (IATA: HUI, ICAO: VVPB) (Vietnamese: Sân bay Quốc tế Phú Bài) is located just south of the central city of Huế, former capital of Vietnam. October 30, 2005: Phú Bài Airport officially welcomed its first international flight since it was allowed to receive international flights by Vietnamese government in 2002. The charter flight operated by Austrian Airlines carried Austrian tourists from Luang Prabang, Laos. May 24, 2007: Changi Airports International (CAI) today announced that it has signed a Memorandum of Understanding (MOU) with the People's Committee of Thua Thien Hue Province for the development of Phu Bai–Hue International Airport. This MOU was signed as part of the Vietnamese government's launch of a tourism master plan to develop Thua Thien Hue Province as the next international tourism destination of Vietnam. The MOU was signed by Mr. Nguyen Xuan Ly, Chairman of People's Committee of Thua Thien Hue Province and Mr. Chow Kok Fong, Chief Executive Officer of CAI in Vietnam. The event was witnessed by officials from the Civil Aviation Administration of Vietnam (CAAV). 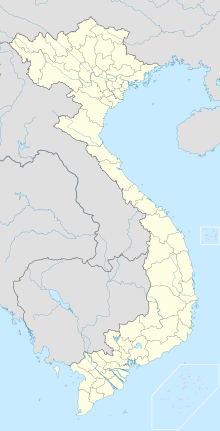 February 23, 2013: Phú Bài Airport was expected to close for eight months for runway repairs and upgrades, estimated between 500 and 600 billion Vietnam Dong. The airport was actually closed from March 20 to September 20, two months less than planned. 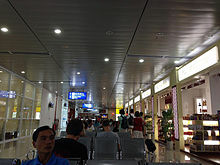 During this period, tourists who wished to travel to Hue by air had to use Da Nang International Airport. ^ a b "Phu Bai International Airport in Vietnam to Reopen on 20 September 2013". 2013-08-01. Retrieved 2014-12-14. Airport information for VVPB at World Aero Data. Data current as of October 2006.